Westland Carpet and Floors welcomes you. We bring our carpet store right to your front door. We pride ourselves as being the best carpet store and flooring store in the Metro Detroit area. With over thousands of options to choose from, we bring samples to your home or business so that you can match them up to your walls, furniture and decor. The days of going to a brick and mortar carpet store to get your carpeting or flooring is pretty much a thing of the past. These carpet stores will charge you more because they have rent, utilities and massive overheads to cover. At Westland Carpet and Floors we cover the whole realm of flooring from carpeting, hardwood floors, laminate floors, ceramic tile, vinyl flooring and tile floors. We work with both residential flooring and commercial flooring and have designers who will come out and help you make a selection. ​Westland Carpet and Floors will always come out to measure your project and provide you with a free estimate of the complete job costs. Because we keep our overhead low and buy mill direct, we can pass on the savings to you in the form of better flooring for less money. Be sure to ask about our amazing carpeting and flooring specials that we frequently offer. With over 30 years of experience in the carpet and flooring business, you can be assured that your next carpet installation or flooring installation will be done professionally, on time, and at a great price. Give Westland Carpet and Floors a call today to set up an appointment for one of our specialists to come look at your next flooring project. Westland Carpet and Floors has almost every style, type, and color of carpeting you can imagine. We work with the major brand names like Shaw and Kraus as well as some of the smaller manufacturers of carpeting to give you the best selection possible. If you are looking for any type of carpet from a thick plush all the way to a level cut, we can find the right carpet for your needs. We also carry many levels of carpet quality from a very inexpensive carpet you may want to put into a rental property all the way to the highest quality available. ​At Westland Carpet and Floors, we keep our overhead low so we can always meet or beat any of our competitor's prices. If you go to a traditional carpet store, you will pay too much! Carpet padding is also an important consideration when you replace your carpet and we have many options for you to choose from at very competitive pricing. We also have some of the best carpet installers in Michigan who have been properly trained and experienced to make your home or business look great. Our expert staff at Westland Carpet and Floors can help you select the right type of carpeting for your specific needs. Based on the foot traffic, proximity to outside dirt, potential for stains, and pets, we can make sure you get the right carpet for your project. Many people are now choosing Stainmaster carpeting which helps protect your carpet against most types of dirt, spills and pet accidents. If you go to another carpet store or one of the big-box stores to buy your carpet, you are going to pay too much. Most of the other carpet stores will just try to sell you what they have in stock. We are not like the traditional carpet stores because we let you decide what you want. Give us a call today and see just how great of an experience you will have with us from start to finish. 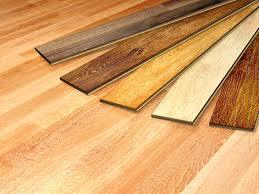 At Westland Carpet and Floors we specialize in hardwood flooring. We have an amazing selection to choose from at great prices and have amazing installers to put it in for you. Hardwood floors are a great thing to have in a home and are becoming a more and more popular flooring choice. Hardwood floors are very easy to maintain and will keep clean with a light dusting or damp mop. Hardwood floors also last much longer than most other flooring. If you take good care of your hardwood floors they can last as long as 30+ years. Although hardwood floors are the most expensive type of flooring, most people feel it is worth the investment. Just like carpeting, there are many types, styles, and colors of hardwood floors and our specialists will be happy to show you the different options and help you pick the right one for your home or business. ​If you go to a carpet store or flooring store or the big-box stores, you will be paying top dollar and probably get a lower quality product. Let us bring our flooring store right to your door where you can match your new floor with the rest of your home. The traditional carpet store or flooring store simply cannot compete with our prices because our overhead is much lower than theirs. Give us a call today and let us show you the amazing selection of hardwood floors we offer. We will come out and provide you with a no-cost estimate of the entire project. We have over 20 years experience installing hardwood floors and our technicians are trained to show you how to properly care for them. If you are in the market for hardwood floors, give Westland Carpet and Floors a call right now! There is no need to go to any other carpet store or flooring store. At Westland Carpet and Floors, we carry almost any type of flooring that you may need. 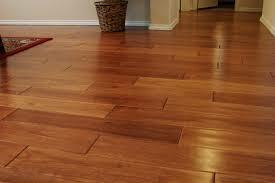 If you are searching for laminate floors, tile floors, ceramic tile. vinyl tile or even linoleum floors we have you covered. Our professional staff of designers will be happy to explain the differences between the many types of flooring and which one would work the best for your specific situation. We will also discuss how the floors handle wear and tear and which floors are easier to care for. These are all decisions that you need to know about before you make your final decision. We bring our store right to your door and can show you many different options so you can see how the flooring will look in your home or business. We keep a lot of flooring in stock and can usually install your floors in a matter of days. It all starts with a call to Westland Carpet and Floors and an appointment to come show you just how good we are. The principals of Westland Carpet and Floors have been in the carpet and flooring business for over 30 years and the trade has been handed down from generation to generation. We have an excellent reputation in not only the Westland MI area, but throughout the entire Metro Detroit market. At Westland Carpet and Floors, there is no longer a need to go to a carpet store or flooring store as we will bring the entire store right to your front door. Because we buy mill direct and have lower overhead than the brick and mortar stores, we can pass that savings on to you. Our entire staff has been trained to provide you with an excellent experience on your next carpet or flooring project. ​The installation department at Westland Carpet and Floors is simply amazing. They have years of experience and will leave your home or business with a professional and clean installation. They will also spend time with you to let you know the best way to care for your new carpet or flooring before they leave. The specialists who come to your home are also amazing and will spend the time you need to make the right decision on what type of carpet or flooring is needed. Ask us about our amazing sale prices that we have on almost a weekly basis. Give us a call today and you will see just how great our company really is. Before you call another carpet store, let us show you how much we can help you complete your flooring project quickly and economically. At Westland Carpet and Floors, we are constantly keeping up on the newest methods of carpet installation, carpet care and carpet designs. We are much more than your typical carpet store. It is our desire to keep you updated on the latest innovations in flooring and carpeting. Please feel free to ask us about some of the new types of carpeting that have been modified to reduce stains and traffic wear.